* Diarrhea is an acute attack of frequent, watery stools. * If diarrhea lasts longer than a few days, occurs in a child under six years old, or is bloody please contact your physician, as it may be a sign of something more severe. It can cause low blood sugar and dehydration. 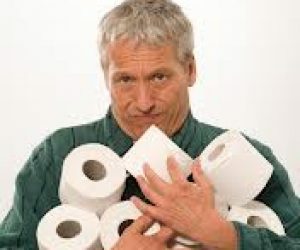 * There are a number of causes of diarrhea, the most common of which is infection. Other causes include other underlying diseases such as cancer, pancreatic disease and ulcerative colitis, inflammatory bowel disease, food poisoning, drugs, food allergies, stress and incomplete digestion of food. * Symptoms may include loose watery stools, bloody stools, abdominal pain or cramping, vomiting, thirst and fever. * Have any allergies or underlying conditions diagnosed and treated accordingly. * Ensure you have safe food handling practices and hygiene. Try to avoid anti-diarrhea medication, as the body may need to flush out the cause of the attack. Take in plenty of fluids – diarrhea can cause dehydration and loss of minerals from the body. Drinks such as hot carob, chlorophyll and juices can help. Do not eat solid food – try to take juices, brown rice, vegetable soup or broth, oat bran and bananas, as this will give the bowel a chance to rest. Try to take in plenty of fiber as this will help to form firmer stool. Avoid foods including dairy products, food containing gluten, junk and fatty food, caffeine, alcohol and spicy foods. Rebalance microorganism levels in the intestine as diarrhea upsets the balance of bacteria in the gastrointestinal tract. Acidophilus helps to repopulate the intestinal tract with friendly bacteria. Rebalance electrolyte levels – electrolytes include chloride, sodium and potassium. 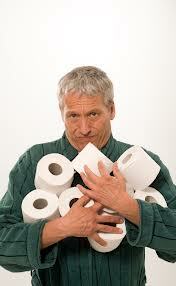 These are lost in great quantities during diarrhea and need to be replaced. Specific electrolyte replacement drinks, herbal tea, chlorophyll drinks and vegetable broth will help to replace electrolytes. FOLIC ACID – – helps to repair the lining of the intestine and may help to reduce the duration of diarrhea. 15,000 mcg in divided doses may help. Do not use high doses for prolonged periods. GARLIC – has antibacterial, antifungal and antibiotic properties, helps to heal and stimulates the immune system. Use according to label instructions. Seek medical advice before taking garlic if you are taking anticoagulant medication. KELP – helps to replace lost minerals due to diarrhea. Use according to label instructions. CAROB, ST JOHN’S BREAD – has astringent properties, is high in protein and is used as a warm drink during acute diarrhea. CHAMOMILE MATRICARIA, GERMAN CHAMOMILE, ROMAN CHAMOMILE. – has anti-inflammatory effects. Do not use for prolonged periods and by those allergic to ragweed.